Sign up for WE Volunteer Now for Your Chance at a $250 Grant! The Allstate Foundation is proud to play a vital role in helping WE empower young people to make a positive difference. Learn more about The Allstate Foundation’s Good Starts Young program and why they’ve teamed up with WE to bring the WE Volunteer Now service curriculum to the classroom. When students are empowered with the knowledge, skills and resources to be leaders, they can change our world for the better. But we know that teachers need support and tools to be able to organize student volunteer activities on top of everything else in your busy educator schedules. WE Volunteer Now makes it easy to set up your student service project, and you can also receive a $250 grant to get you started or continue your ongoing campaign! Whether your students want to give back locally or globally, WE Volunteer Now will help you channel your students’ passion for volunteerism. 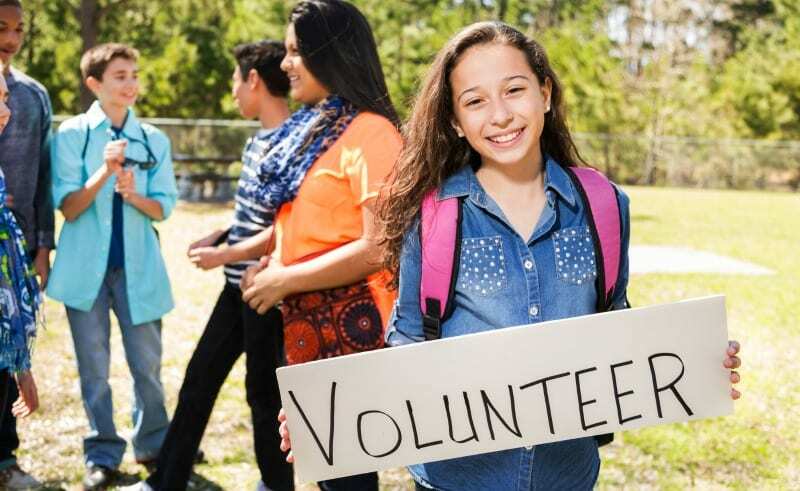 To get started, simply fill out the form to the right and you’ll get an instant download from WE Volunteer Now, full of information on how to start a volunteer campaign at your school. You’ll also get access to grade-specific lessons you can use right away. Plus, 600 schools will receive a $250 grant, make possible by the The Allstate Foundation, to use towards their service projects! A worksheet for you to complete with your class—by the end you’ll have a solid idea of which volunteering option is best for you! 600 schools will receive a $250 grant to use towards their volunteer project! Directly donate the funds towards fundraising events such as golf tournaments, charity dinners, walk-a-thons, etc. I want to learn more about WE Volunteer Now and the chance for a $250 grant!